Is that blurry video of Eileen dancing like a goofball? Only one way to find out…. This is an “industrial”, a video that companies create for their own internal use…except this one is so good the company loves to show it off! 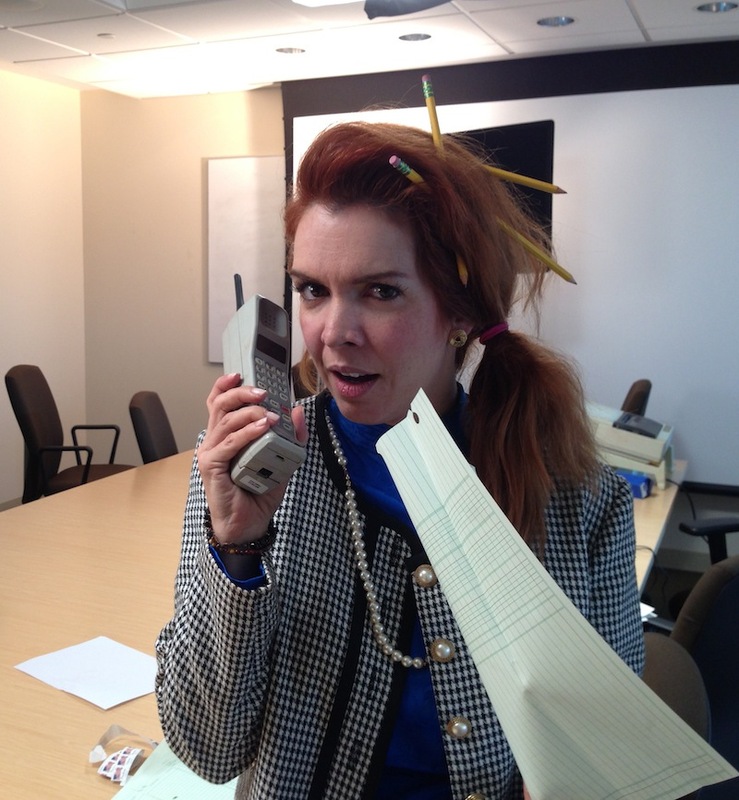 In our story, I’m part of an old school account team frozen in time since the 1980s. Suddenly, 2012 comes calling in the form of modern-day accountants with all sorts of fancy-schmancy tools who teach us the news ways to do business. And it’s all set to a spoof soundtrack of LMFAO’S infectious hit PARTY ROCK! WARNING: The Dork Factor reaches Code Red Levels. PS – There’s an OUTTAKES reel, too! Go to the WACKY video section for that gem!